Daily Listen: Queensryche - "I Don't Believe In Love"
Here at ChunkyGlasses, we like to think we're equal opportunity music lovers, and so it is that Andre and I will be visiting the legendary 9:30 Club tonight to take in Queensryche as they bring their 30th Anniversary Tour (crap..old alert) to the nations capital. What's that you say? Metal isn't "in" right now? (unless you're talking Mastodon) Why would I bother to read about metal? Are you crazy? Look. The fact of the matter is that we all develop our musical tastes somewhere, and if you're over the age of 33-35 and try to claim that you didn't suckle at the teat of MTV's Headbanger's ball for most of the formative part of your teenage years, then you're just flat out lying to yourself and the ones you love. This stuff ruled your face when you were younger, and there's no reason it shouldn't rule it now. 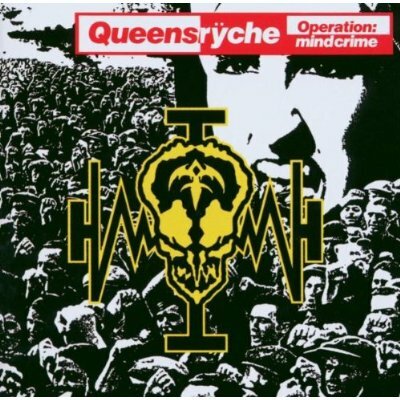 Add to that the fact that Operation Mindcrime, Queensryche's biggest pre-Empire ("Silent Lucidity") hit was a f! @!ing METAL CONCEPT ALBUM, there's really no excuse for you to not be buying a ticket right now. Need more convincing? Check out this single from Operation Mindcrime and then don't forget to pick up your ripped jean jacket on your way out the door to the show. Older PostDaily Listen: The Fierce And The Dead - "10x10"